Common daily aches and pains can be a sign of greater underlying issues or the early stages of a medical ailment. If you have experienced pain while climbing stairs this could be a sign of a joint related health issue or a symptom of an internal condition affecting one of the body’s various systems such as cardiovascular or nervous. Difficulty climbing stairs causes can vary greatly and have several different root causes. What follows are the most common difficulty climbing stairs causes, how to best approach each condition, and common methods of treatment. In many cases, if you’re having difficulty climbing stairs various knee ailments could be the cause. However, despite similar symptoms (knee pain), the causes can be very different. Osteoarthritis: is a common cause of pain when using stairs. Osteoarthritis tends to occur if you are over the age of 50, it is a degenerative ailment caused by your joints wearing down as you age. Osteoarthritis reduces the cartilage in the knee which leads to bone spurs. Symptoms can include knee stiffness, pain, a reduced range of motion, and swelling. There is no treatment for osteoarthritis, however, there are ways to reduce its impact. Common treatment methods include over the counter pain medication, exercise, knee braces, ice packs, heating pads, stair rails, injections, and increasing your overall daily movement. Tendon Damage: the term tendon damage covers various injuries. In particular damage to the patellar tendon is felt when using stairs. Symptoms include pain, swelling, and inflammation. It’s a common issue with athletics and those in very active professions as overuse of the quad muscles can strain the ligament or cause small tears. Treatment can include rest, icing the knee, compression wraps, and elevating the knee as it heals. Commonly referred to as RICE this type of home treatment can greatly aid in recovery from common knee injuries. Runner’s Knee: the most common of all knee-related injuries is runner’s knee. Despite the name, it does not just effect runners as it can also affect nonathletes as all of its causes are not related to physical activity. 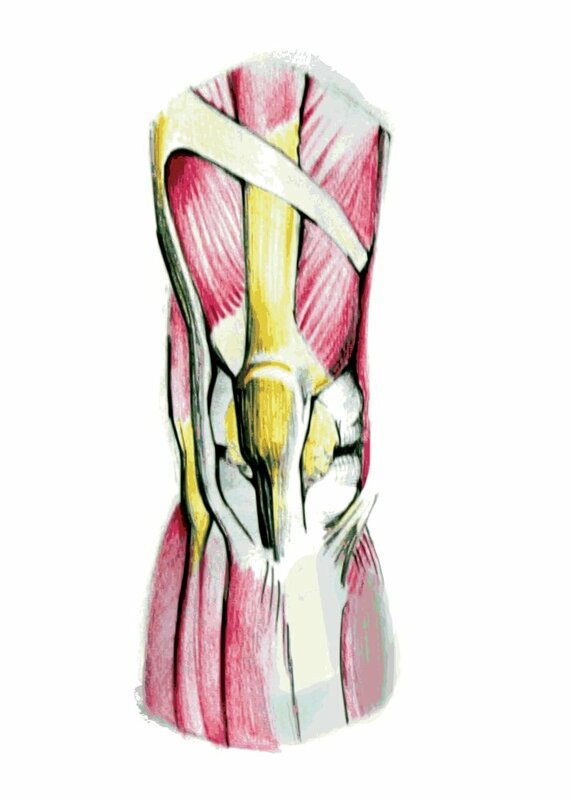 While related to the patellar tendon runner’s knee and its related symptoms are focused around the kneecap itself. Causes can include tight muscles, bad foot position or posture, weak muscles, or atomy issues with the knee itself such as its shape. Symptoms include stiffness, general pain, and notable issues when walking down stairs. Treatments include the above-noted RICE method, strengthening exercises, knee braces, increased stretching, orthotics, pain medication, and in severe cases surgical repair. While knee issues are among the most common causes of difficulty when climbing stairs, not all issues are related to joint health. There are ailments that affect the cardiovascular and nervous systems that can cause difficulty when climbing stairs. Often pain or difficulties when using the stairs may be an early sign of one of the bellow ailments. Blood Clotting: blood clots are an ailment that can affect the lower legs. When these clots accumulate symptoms can include warmness to the touch, leg pain, swelling, discoloration, and the legs feeling heavy. The most common cause of blood clots is poor circulation and the most common treatment method is a perception of blood thinners. Herniated Disk: a herniated disk can affect the legs and is found in young or middle-aged people more often as elderly people tend not to have this condition. Symptoms can include weak muscles, reduced reflexes, leg and back pain, tingling, and numbness. These symptoms affect the back and travel down to the legs often only affecting one side. Treatments include pain medication, ice, steroid injections, massage therapy, chiropractic treatment, and more rarely surgery. PAD (Peripheral Artery Disease): is a circulatory problem where your limbs do not receive enough blood flow due to narrowed arteries. PAD is commonly caused by plaque build up in the arteries restricting blood flow. Symptoms can include cramping in the calves, thighs, and hips after climbing stairs, numbness, weakness in the limbs, discoloration, sores that don’t heal properly, and slower toenail growth. Treatment methods include lifestyle changes such as diet and exercise, medication, and surgery to treat the underlying causes. Femoral Nerve Compression: the femoral nerve is found in the upper thigh and transmits movement signals and sensations to major muscle groups in the leg. Damage to the femoral nerve such as inflammation, pressure, or injury can cause weak legs, groin pains, leg pains, and greatly limit the ability to use stairs. Causes aside from outside injury can include diabetes, tumors, pelvic features, and internal bleeding. Due to having so many different root causes treatment greatly depends on what caused the condition in the first place, however, treatment methods include therapy, medication, or surgery. Weak Leg Muscles: lastly, when considering difficulty climbing stairs causes your ailment may not be medical at all. A lack of physical activity, a sedentary lifestyle, or a career seated at a desk can mean your leg muscles are simply not receiving sufficient use. Regular workouts a few times a week can strengthen leg muscles and reduce movement related difficulties. Be sure to consult your doctor or a health professional for the safest and most effective workout for your health-related needs. As the above information shows, difficulty climbing stairs causes cover an assortment of different ailments and injuries. Some of the causes are as simple as sports injuries and may only require rest and recovery. While others such as blood clots can lead to far more damaging health concerns if left untreated. The important thing to understand is that problems walking up stairs merely point to an underlying cause that can greatly vary in its impact on your overall health. If you notice such difficulties schedule an appointment with your doctor to determine what is causing your symptoms. Once you are fully aware of what the underlying ailment is your physician can then advise the next course action and the best approach to your treatment.